Yes, the bottom line is that for its derivation and at times near plagiarism, the quintet's debut LP is in fact an excellent collection of songs, written and performed by what is evidently a group of excellent young musicians. 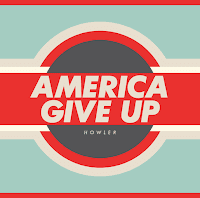 America Give Up is ram-packed with youthful effervescence, delicious distortion and seductive sentimentalism, but at the end of the day it's the tunes that albums like this are judged on, and by God have Howler got some. The two tracks that have made the cut from last year's EP, 'This One's Different' and 'Told You Once' are obvious highlights, as is current single 'Back Of Your Neck.' All three explicitly showcase their natural ear for a killer hook and execute those ideas to perfection, with each one an absolute shoe in to become inescapable anthems at the height of this year's festival season. The likes of 'Wailing (Making Out)' and 'Beach Sluts' aren't far behind, but in truth there's not a dud amongst this album's eleven tracks, and at 32 minutes there's little to no excess fat weighing it down. It's these overwhelmingly positive traits which make it so easy to overlook Howler's blatant deficiencies, most of which stem from the fact that they're basically rehashing the material of a seminal band who made their telling impact over a decade ago. You can even forgive frontman Jordan Gatesmith for at times sounding so much like Julian Casablancas it's genuinely unsettling ('Pythagorean Fearem' is the chief offender) purely on the basis of the blissful songs that he and his bandmates have crafted. They're not the first, and doubtless won't be the last to feed from The Strokes lasting legacy, but crucially, they do it far, far better than most, and if they can forge a career from it, then good for them. 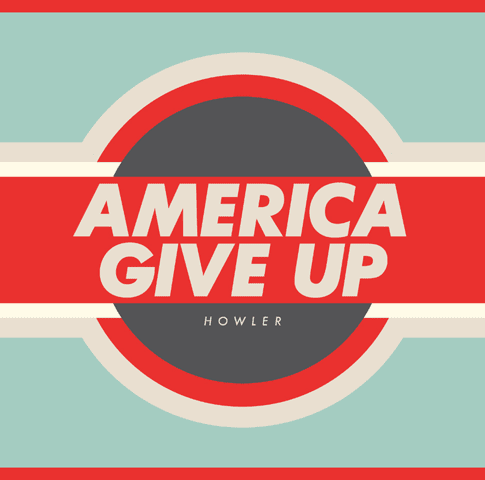 America Give Up is released on January 17th, and is currently streaming here.